A deft analysis and appreciation of fiction—what makes it work and what can make it fail. Here is a book about the craft of writing fiction that is thoroughly useful from the first to the last page—whether the reader is a beginner, a seasoned writer, or a teacher of writing. You will see how a work takes form and shape once you grasp the principles of momentum, tension, and immediacy. 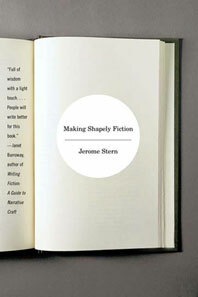 "Tension," Stern says, "is the mother of fiction. When tension and immediacy combine, the story begins." Dialogue and action, beginnings and endings, the true meaning of "write what you know," and a memorable listing of don'ts for fiction writers are all covered. A special section features an Alphabet for Writers: entries range from Accuracy to Zigzag, with enlightening comments about such matters as Cliffhangers, Point of View, Irony, and Transitions.